AllSpark launches a brand-new ecology designed to merge the worlds of content creation, digital media and marketing using blockchain technology. With the advent of blockchain technology comes the opportunity to create lasting solutions to problems once thought unsolvable. If blockchain is to fix the problems plaguing content creators, sharers and advertisers, it will be a solution that can successfully enclose all three into one single, reciprocal ecosystem. With the rapid development of Internet technology, the media sector has long since moved from linear to multi-dimensional, network-based communication systems. But despite these leaps, most content creators and communicators in the age of social media cannot obtain deserving benefits. All the while, the cost of advertiser marketing is getting higher and higher. These woes are solved on AllSpark’s distributed platform because content creators, content communicators, and content consumers can freely complete content matching transactions by freely setting up different transaction mechanisms. Ultimately, the free market mechanism determines the value of the content, so that content creators and communicators receive economic returns. AllSpark Chain is a non-profit industry chain. The in-depth customization based on Wanchain’s code will draw on the transaction privacy protection and Ethereum smart contract features already implemented by Wanchain. At the same time, it utilizes an improved DPOS principle to carry out certain transformations. Regarding storing various content, AllSpark introduces an IPFS distributed storage contract. Users will feel comfortable storing their content on local servers, cloud servers, or third-party DApp servers because of a decentralized storage mechanism that will protect the copyrights of content creators. In addition, smart contracts, similar to Ethereum/Wanchain, can support content creators, distribution channels, advisors, or content consumers to handle confirmation of interest and forced distribution on the AllSpark chain, thus protecting the interests of all parties involved. The Foundation of the AllSpark chain will initially create a series of general smart contract templates for user convenience. As the AllSpark ecosystem develops, professional DApps will provide related templates from which they can profit, thus creating an environment where the utility and complexity of smart contracts will steadily increase. Also, more DApp technique providers will emerge to present whole new methods of transforming traditional Apps into DApps on the AllSpark Chain. In addition, the AI provided at the initial stage will be used to monitor all incoming content. That way, the AllSpark platform is in full compliance with laws related to reviewing and controlling open content in various countries. The evaluation mechanism of AllSpark is also an integral part of the chain’s design. It’s possible to evaluate original content through the positive incentive mechanism of rewards, which helps the sharer and consumer to better identify top-notch content and thus decide on a proper reward. By employing blockchain to build a distributed platform for content creation, AllSpark solves the problems facing content creators and distributors that were previously unsolvable. On the AllSpark platform, content creators, distributors, and consumers can participate in a revolutionary economy of pure content trading wherein various mechanisms of their choice are established. Thereafter, the free market will determine the content’s value and related creators and distributors can see proportionate returns. The first is the original “fuel” of AllSpark’s public chain, providing package incentives and fueling smart contract consumption; it is an essential Utility Token. ASK is also a countermeasure for all parties in the chain to confirm and allocate equity. The value of ASK is used to measure the distribution of rights and interests of all parties. In addition, ASK is the most convenient tool for transnational collaboration and sharing of benefits. At present, cross-border cooperation and settlement is a huge issue under traditional conditions. With ASK, the difficulties in cross-border settlement can be solved smoothly. Finally, ASK is an essential driving force for ecological incentives; for content uploads, rewards for excellent evaluations, and completion of collaborative tasks. If the Internet is what shapes self-media, then it will be the bottom-layer technology of blockchain that provides a platform where everyone can realize their full potential. The operating principle of AllSpark is to enable the supply-and-demand relationship between content and information to form a stable connection with value, ensuring the safety and validity of all steps along the blockchain. This leads to the protection of creator copyrights and creates value in information transformation. Through AllSpark, top-level creators will earn a higher income and are further incentivized to create better content. AllSpark doesn’t only focus on content creation and distribution; it can also transform conventional production relations and production patterns throughout many industries. In other words, AllSpark can also be applied in all industries by matching incongruent demands. The traditionally trustless relationship between advertisers and publishers presents a perfect opportunity for blockchain to intervene. Monitoring ROI will be fully transparent, so measuring the successes and failures of a campaign will be much simpler. The entire process from autonomous authoring (UGC) to individual distribution (self-sharing) to C-side acceptance of information payment is monitored by the blockchain system. In conjunction with confirmation, smart control protection is provided for a commercial transformation of advertiser content. DApps are an important part of the AllSpark ecosystem. 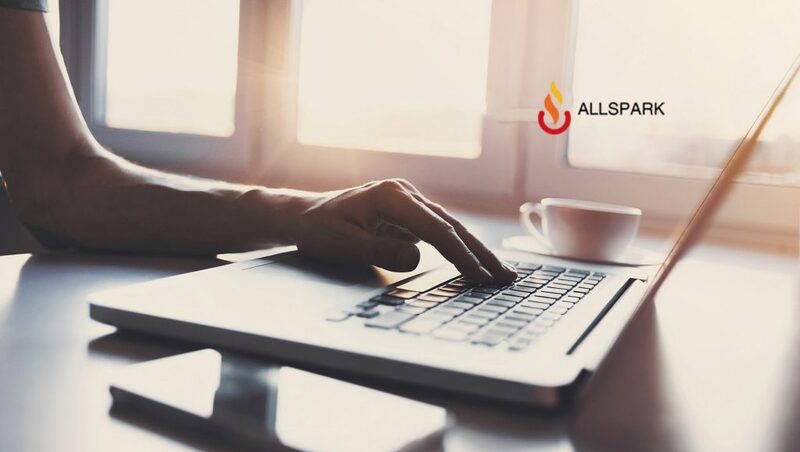 In the early stage of network development, AllSpark will provide a universal DApp that supports standard functions, including wallet functions, content upload functions, content evaluation functions, transaction settlement, and data query functions. With the development of the ecology, AllSpark encourages and invites more ecological stakeholders to provide users with more personalized DApps. DApps will include those designed for vertical content, such as music, advertising cash-outs, and those used to match content creators, communicators and advertisers. Other DApps, such as those providing copyright transactions, content search, data analysis, social networking, etc., will also emerge and find their place in the AllSpark ecosystem. AllSpark’s core team has rich experience in global digital media operations. The project development company has 11 years of experience as a digital media agency and is an overseas agent for Baidu, Tencent, Google, and Facebook in China. Since 2015, the companies controlled by the AllSpark team have started their own media operations and advertising business in cooperation with more than 90,000 self- media. Since 2017, the team has provided content for the largest news apps in China, including Tencent News (240 million MAU) and Baidu (420 million MAU). It provides an average of 7,000 pieces of content each day on various platforms. The various original content creators amass a team of 5,000 individuals and teams. AllSpark also has an elite team of experts and consultants, including former Twitter Greater China Managing Director, Microsoft Greater China Vice President, current Citrix Global Vice President Kathy Chen, current Vice President of iQiyi , Xiao Chen, plus more than ten relevant industry elites. Based on the extensive industry experience accumulated over many years, the founding team recognizes the rigorous demands and pain points of the digital communication industry. AllSpark can solve the many problems in each sector of this industry by integrating resources from all concerned parties, thus realizing the ambitious plans of the first AllSpark batch. Due to its exceptional advantages, AllSpark has obtained the favor of many cornerstone investors including WANFund (a Wanchain investment fund), Leading Capital and Lianmeng Investment Group. In short, AllSpark can enable all creativity and distribution to produce value and be shared by all human beings.